يحظى فندق Aspiring Lodge Motel بمكان متميز في محور واناكا سياحة, رياضات في منطقة City Center الفاتنة. إن موقع الفندق الاستراتيجي، الذي يبعد فقط عن مركز المدينة، يسمح للنزلاء بالوصول سريعاً وبسهولة إلى العديد من الوجهات المحلية المثيرة. بالنسبة لمن يريد الخروج، هذه بعض المعالم السياحية المتوفرة للزوار The Artist's Corner, The Picture Lounge, ‪Beacon Point Walk‬. استمتع بالخدمات الراقية والضيافة التي لا مثيل لها بهذا الفندق في واناكا. يمكن الاستمتاع بمجموعة من الخدمات على أعلى المستويات في الفندق كمثل واي فاي مجاني في جميع الغرف, خدمة التنظيف يوميًا, مرافق مخصصة لذوي الاحتياجات الخاصة, واي فاي في المناطق العامة, صف السيارات. 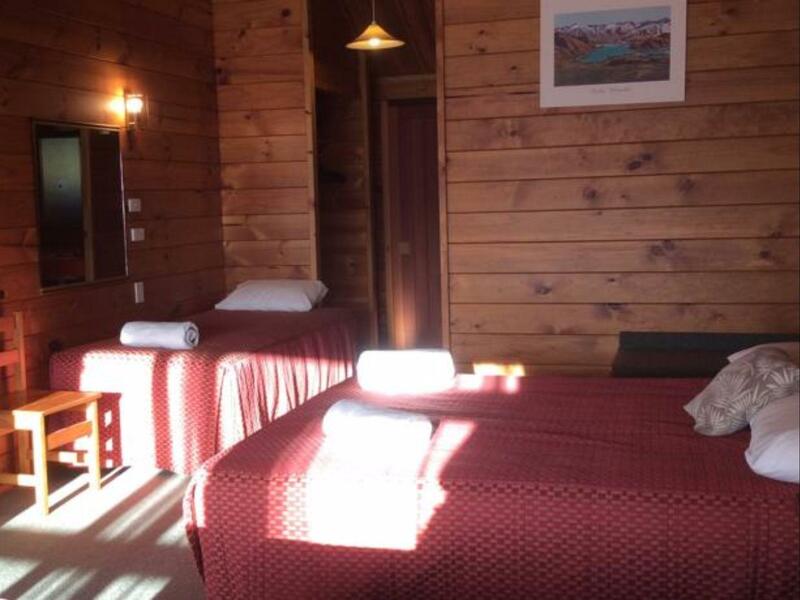 تنعكس أجواء Aspiring Lodge Motel في غرف الضيوف.تلفزيون بشاشة مسطحة, اتصال لاسلكي بالإنترنت, غرف لغير المدخنين, تدفئة, شرفة/ تراس هي بعض الميزات الموجود في العديد من الغرف. يقدم الفندق العديد من الفرص للاستجمام كمثل مسار جولف - ضمن 3 كم, حديقة. يحظى فندق Aspiring Lodge Motel بموقع ممتاز وخدمات يصعب منافستها. العمر الأدنى المطلوب عند تسجيل الدخول هو 21 سنوات. Very dated. In need for renovations. 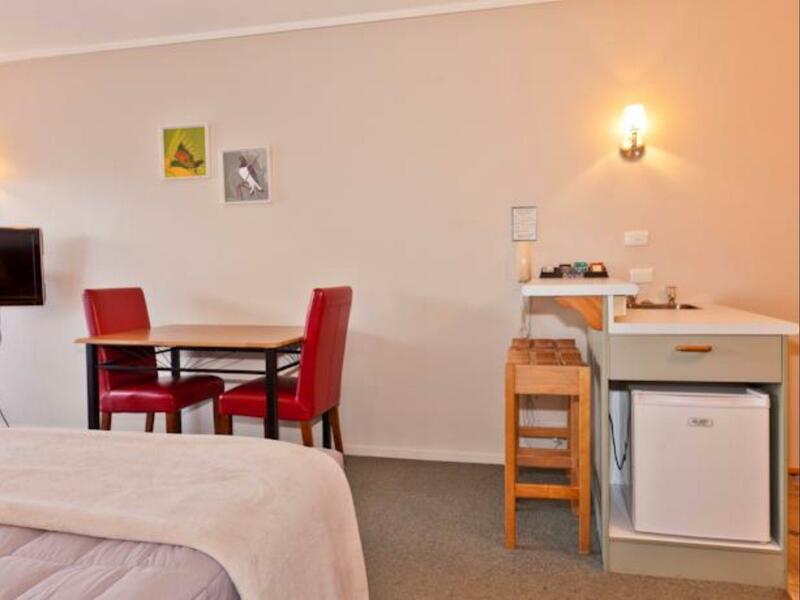 Staff are very friendly and helpful, room is clean with great location. Good bits: location couldn’t be better, staff were really helpful, WiFi worked, water was piping hot and bedding all in was comfortable. However they really need to spend some money and update the rooms. Our carpet is worn thin and the wooden sauna-style bathroom and 1980’s fittings have had their time and need ripping out. The location is good. The staff really waited for us to arrive even if it was past their reception hours. Clean and tidy. The bed is comfortable. You can cook with a microwave oven. The location is great, there is a supermarket next to the door. Great location Clean and comfort stay Carpark space was limited. have to park at roadside. 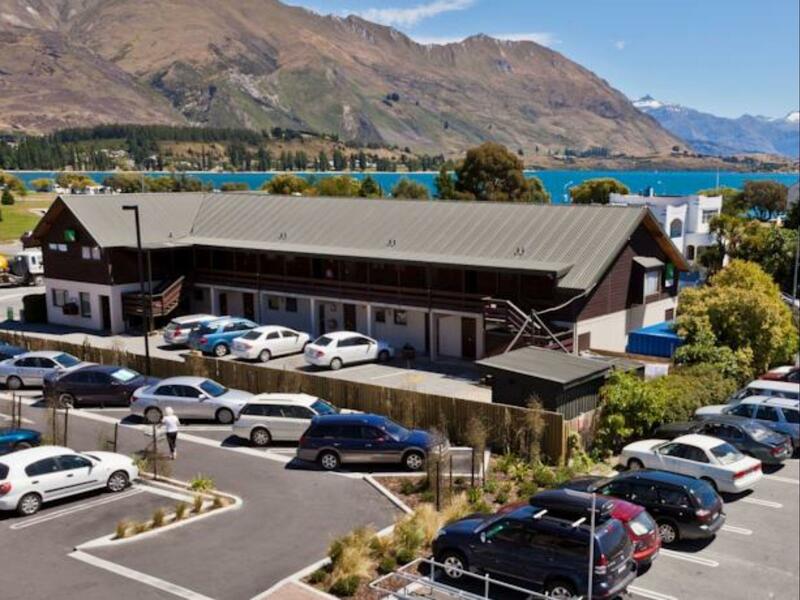 Great location in the heart of Wanaka right near the new world and the lake. Downside of this is the noise from the nearby bars (we did stay on a Saturday night too). Also can hear a lot through the walls from the other units. Wifi good but shower pressure not great. next to world mart..scenic view and eveything about this room was fantastic esp. the interior design.very warm place to stay during winter time. 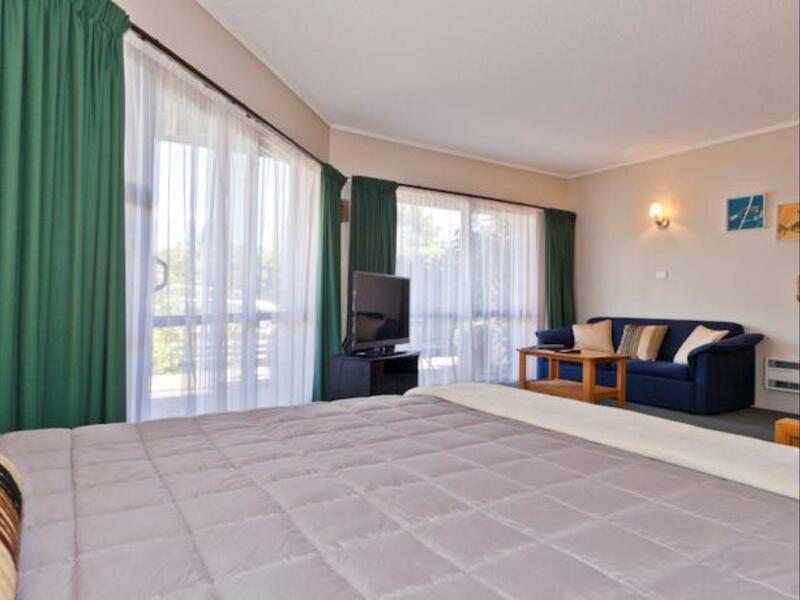 Conveniently located right next to the New World supermarket and right in the town centre. The room was comfortable with everything we needed. The room and bathroom did get exceptionally cold but the heaters were adequate. 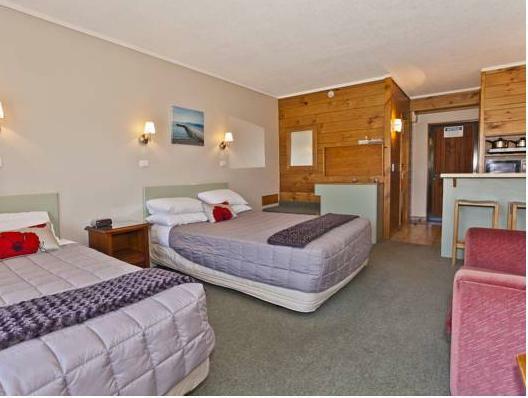 Perfect for our short stay in Wanaka to tackle Roys Peak. Besides been situated in a convenient location it is quite noisy. It's a Lockwood interior so it creeks a lot so it could surprise you if you're not use to it. If you're a party animal this is a prime location as the bars, pubs & cafes are footsteps away from your front door. 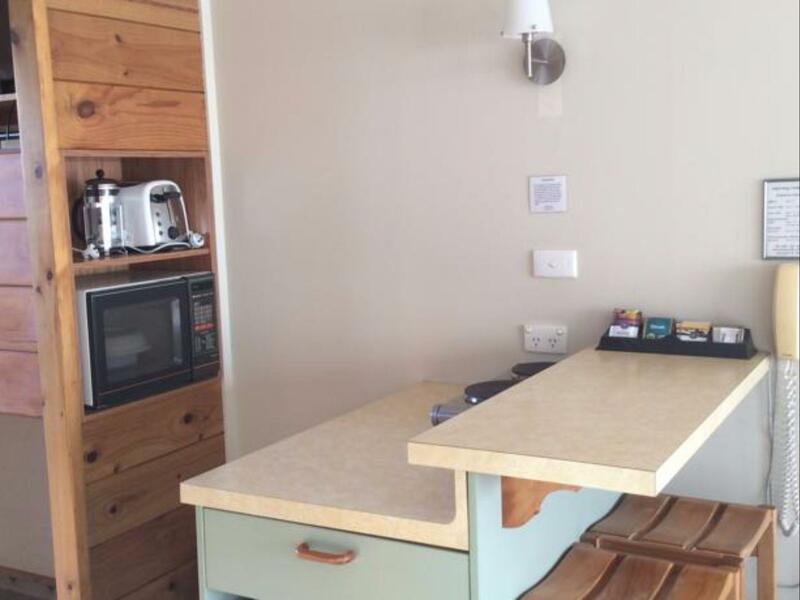 The only part I didn't like was the kitchen its ugly. You'll know what I mean when you see it. We were offered a ground floor room as I was not interested in taking heavy suitcases to a first floor room without lift. That room (7) was an accessible room with a stinking toilet. 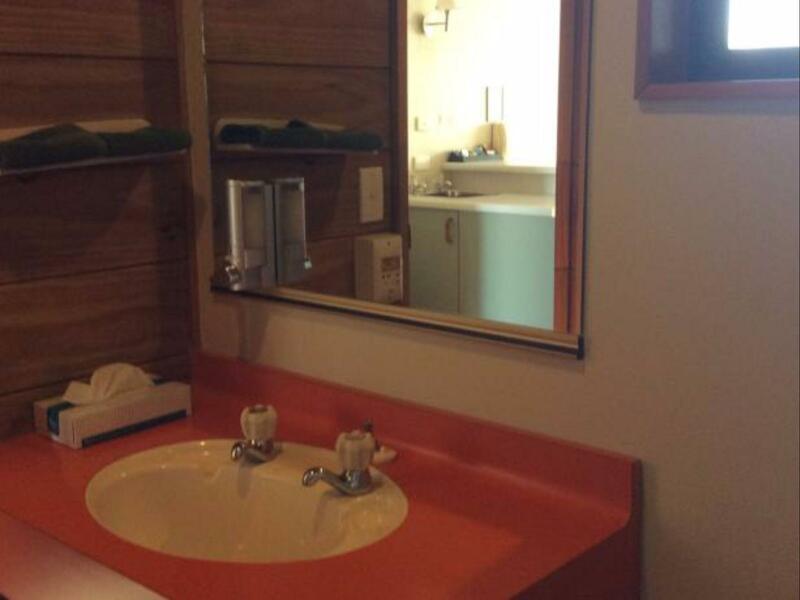 Other than a soap dispenser no other toiletries were provided. No taps in the bath tub other than a shower head. Parking was horrible as the turning area was occupied by two,cars from th owners/employers. I have been booking through Agoda and never had such bad experience before. Furnishings a little dated but overall a comfortable stay. Very close to local restaurants and supermarket next door is convenient for restocking supplies for road trips.